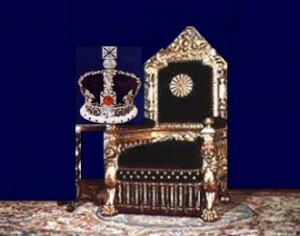 “It is not for kings, O Lemuel, it is not for kings…..” (Prov.31:3). The principle here does not only apply to the monarchs of kingdoms but also to anyone who is at the helm of affairs in any capacity. Those who are not yet there but dream of rising to the top will do well to take heed to this counsel too. What is particularly intriguing about this is that the king has all authority and power to do whatever he pleases (especially at the time when the Bible was written), yet he is told here that he must keep away from certain things. In other words, he must not think that his privileged position gives him the privilege to do whatever he pleases – he must have boundaries to his conducts and he must have checks and balances in place. Why? Because that is how to protect the kingdom over which he reigns, preserve his position as king and retain the honour and dignity that is befitting to his kingly position. Like I said earlier, you do not need to be a monarch or president of a nation for this to apply to you. It applies to any headship or leadership position of any degree. For instance, it will apply to you as the CEO of an organization, or the pastor of a church, or the manager of a department, or the head of a family or the group leader of any functional unit of any kind. Also, according to the scriptures, born again Christians belong to heavenly royalty and have been made kings and priests in Christ Jesus (Rev.1:5-6). Don’t worry if you don’t understand what that means but know that if you are born again, you are a king and this applies to you. Examples abound to underscore the wisdom of what I am sharing with you. Let me give you a few: A married man took liberty into his hands and starting going to bed with his house girl (or au pair) for illicit sexual indulgence. Right from the first time he did it, he reduced himself to her level and lost her respect. His wife later found out and his marriage hit the rock and shattered to pieces. In 1998, a well celebrated and highly respected president of the United states of America (I don’t want to mention names), indulged in an immoral affair with a staff at the white house. When it leaked, it cost him dearly. His reputation deflated like a punctured balloon and his international acclaim turned into ridicule. If only someone had told him that there are certain things that are not for kings! About three years ago, a sports superstar and superhero, holding several world records in track events, tested positive for steroids. After some interrogations, she tearfully admitted her guilt. Not only was she stripped of her medals but was also sentenced to jail. The honour and dignity she once enjoyed for her numerous sporting achievements flew out of the window. If only she had known that ‘it is not for kings’! The funny thing is, when “kings” are yielding to the temptations and persuasion to do what they are not supposed to, they think it will not affect them in any negative way. Sometimes, even when they know that such actions can be devastating, they think it will never be found out. Then there are others who are deceived into thinking that even if it becomes exposed, they are well able to handle it and silence the repercussions. But by the time they find out how wrong they were with such assumptions, it is too late. Right now, there are some “kings” out there who have paid and/or are still paying thousands of dollars to suppress the publicity of their hidden misdemeanor. They have made themselves helpless victims of a threatening blackmail in the hands of their traitors. Then there are those whose hearts beat faster than normal because of the tormenting fear that what they have done might be discovered and made public anytime. These ones have neither the resources nor the option of paying to cover up their tracks. They know what the consequences will mean to their career, reputation, family and position. What a miserable way to live! And yet, all these hidden torments, threats, blackmail and other tragic consequences can be avoided by taking heed to this simple wisdom that there are certain things that are not for kings. Let me ask you – have you ever given in to any weakness, or pressure or temptation and done what you know to be wrong? Have you ever done something for which you later blamed yourself because you knew enough not to have done it in the first place? I will be surprised if anyone answered “no” to that question. This is one of the strangest problems that we have as humans – to know that something is wrong and can be damaging and still go ahead to do it nevertheless. That is dumb, isn’t it? It means we are all ‘dumb’ then – without exception. Indeed, the problem is more than just being “dumb”. It has something to do with the fallen nature of man for which man has no answer. That is why you find that the most disciplined, well cultivated and strong-willed people still fail at this point. Thankfully, there is a solution to this problem. The solution is found in Jesus Christ. When a person believes in and receives Jesus Christ as his Saviour, something happens to his entire nature. The person becomes born again or born anew which means that a new godly nature is impacted into such an individual. Within this new nature is the power to live right and say no to what is wrong. Just like the law of aerodynamics suspends the law of gravity and makes it possible for a heavy object like the aeroplane to fly, that is how it is here. The power of the new nature that you receive on becoming born again helps you to conquer the weakness of human nature, thus enabling you live above what is wrong and sinful. Someone might say to me – if that is the case, how come some believers fall into sin including even some men of God? Good question. Let me answer it like this: The law of aerodynamics that makes the aeroplane to fly does not wipe away the law of gravity – it only suspends or renders it inoperative. But the moment that law is switched off during a flight, gravity will immediately take over and the aeroplane will come down crashing. The law of gravity has no respect for position, size or status. It is either you neutralize it by the application of the law of aerodynamics or it will bring you down. This is why after getting born again, you need to learn how to walk in victory in order to keep flying. It is also the reason why those who think they’re invincible should take heed, lest they fall. Visit our websites for more helpful information on becoming a born again christian, vital keys to walking in victory and a lot more. When you mention “Dos and Don’ts” many people are immediately turned off. Many want to succeed but not many are ready to give it what it takes. If you want to rise to the top, you need to realise that there are things to do and things to avoid. There are habits to cultivate and habits to kick out of your life. There are relationships to nurture and relationships to avoid, there are personal disciplines to develop and weaknesses to overcome, etc – there are dos and don’ts! I have come to find out that really successful people have dos and don’ts because success has its rules. You can’t just live anyhow and end up a success. Yes, those who succeed have rules of conduct. In fact, in almost anything, they have some sort of rules at the back of their minds. They have rules concerning when they sleep and wake up, how much work they must put into each day, what they eat and what they don’t, where they go, how they spend, what company they keep, etc. And yet the average person doesn’t like dos and don’ts. They are considered to be too restrictive because they seem to infringe upon the liberty to do whatever you want, whenever you want and however you want. If you must know the truth, successful people don’t lend themselves to that kind of liberty. Is it any wonder then that so many people dream of success but only few achieve it? Many of the celebrities that so many people flock after and sing about, have dos and don’ts for themselves. For instance, do you think they eat whatever comes their way to maintain their slender figures? I am not saying that successful people don’t enjoy liberty and freedom. No – on the contrary, success brings a lot of freedom and liberty. In fact, I was listening to one successful business tycoon not long ago and he said: ‘one of the benefits of success is that it gives you liberty to do the things that you would normally not have been able to do’. That is a lot of freedom. But while that is true, it is easy to see from their lives that such liberty is guarded by rules. I recently discovered that one of the major realities with which celebrities who end up in rehabilitation centres are confronted, is the simple lesson that success has rules. Even if you become successful by chance (which happens sometimes), you cannot remain successful by chance. You can’t live anyhow and stay at the top – otherwise, before you know it, you will come down crashing. Read the newspaper headlines and it won’t be long before you confirm that this is indeed true. Let’s understand however that there are some dos and don’ts that are nothing more than blind and meaningless rituals. Those are not the ones I am talking about. There is nothing to these other than empty and unprofitable traditions and legalism that lead no where. Here, I am talking about informed and educated dos and don’ts based on truths and principles that have been proven again and again to produce results and take people to the top. When you have come to discover what works and what doesn’t, it will be your wisdom to erect some dos and don’ts based on such insight. That is what successful people do. The irony however is that if you wait to find out by your own experience, what works and what doesn’t, you are not likely to make it to the top because life is too short for that. In most cases, just about the time you have gathered enough personal experience to make it to the top, you may find that you don’t have much time left to live. 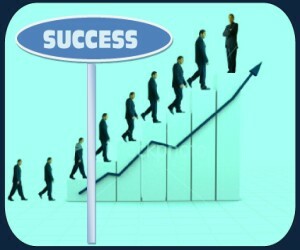 It means therefore that we need to learn from those who have walked the walk, discovered the secrets of success and have actually succeeded by applying such principles. We must find authentic and unfailing source(s) of reliable information and insights to inform our dos and don’ts. But there is a problem here. It is possible to learn and try to adopt the principles of those who have succeeded and still not be successful or as successful. Why? Because there are a lot of other variables that are involved in their success equation, which we may not be able to copy. For instance, the individual’s inner drive, his propelling circumstances, his personal disciplines, his connections, his temperamental dispositions, etc, all play a part. Sometimes the dark and negative circumstances that batter some individuals and the cruel pains inflicted by such circumstances, become the intoxicating liquor that move them to stop at nothing until they succeed. This is why not all mentorees are as successful as their mentors (and why in some cases, some succeed more than their mentors). If you want to look around (and you should), there are quite a few sources out there from which one may glean some wisdom for success but the most authentic and reliable that I have found and which I can recommend to any one is the Holy Bible – the word of God! What a lot of people do not realize is that the Bible is indeed a gold mine of success principles and keys. Out of ignorance, many keep snubbing what they are supposed to embrace and treasure. Ignorance is not good! But there is a big difference however between the Bible source and other sources of success keys. The difference is that not only does the Bible give you the principles, it also empowers you to apply them. How is that possible?, you may ask. It’s simple – get to know the author. God is the author of His word and when you enter into a living relationship with Him, He changes your entire personality and then gives you what is called “grace” – the ability to do what you wouldn’t have been able to do in your own strength and power. (To find out how to enter this relationship, click here). In addition, the Bible provides us with honest, real-life accounts of various individuals from all walks of life, how they lived and how they ended up. From their mistakes, you will gather vital raw materials for your DON’Ts and from their triumphs and successes, you will glean wisdom for your DOs. Forget all the negative stories you’ve heard about the Bible. Get yourself a copy and read through with an open mind. Begin with the New Testament. You will be amazed at the difference it will make to your life. If you want a day-by-day reading plan that will enable you to read through the entire Bible in one year, click here to download a FREE reading plan OR click here to read online. Yes, success has its rules and successful people have dos and don’ts – don’t let anybody fool you. Don’t live your life any how. Aim for the top and have the guideposts that will take you there. Determine what dos and don’ts are necessary to take you to the heights that you dream of. But realize that knowing what to do to succeed is one thing but having the ability to do them is another. The answer to both sides of the equation is having a meaningful relationship with God through our Lord Jesus Christ. Click here to find out how. 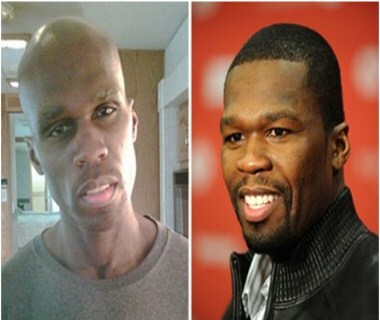 Recently, newspaper headlines were hit with the shocking story of how the popular rapper, Fifty Cents (or Curtis Jackson) lost over 50 pounds (23 kg) to play the part of an American football player who has been diagnosed with cancer in upcoming film titled Things Fall Apart. He lost the weight by going on a liquid diet and spending three hours a day on the treadmill for nine weeks. Reactions were and views on this extraordinary feat were diverse across different groups of people. There were those who saw it as a great achievement and were inspired by it. But unfortunately, there were also those who could only read negative meaning into it accusing him of making a mockery of the disease (cancer) that had claimed the lives of many loved ones. And of course, there were many who didn’t know what to do with it and simply brushed it aside. Just take a look at the picture. This result which was achieved on purpose is too great to be ignored and it carries a message which we shouldn’t miss. Irrespective of what anyone might think about it, I personally think there is a great lesson that we ought to learn from it. And it is the fact that with determination, you can go far in life and achieve seemingly impossible results. Determination is a product of your own decision and personal discipline which means it is something everyone has or can have. It is not sold in expensive super malls and so leaves no one with any valid grounds to complain that they are unable to afford it. How often do people throw up their hands and give in to the tyranny of their limitations and negative circumstances concluding there is nothing they can do reverse them. But in most cases, all they really need is some good dose of personal determination to press on until the desired change is secured. Of course, there are things or negative circumstances that go beyond the power of personal determination to change – I recognise that. But let’s not be too quick (as we are often tempted to do) to accept that dead-end verdict. And where it really does go beyond the power of your own determination, the good news is, that situation can still be changed. All you need to do is turn it over to God because with Him all things are possible. I am not talking of empty religiosity here (who needs that by the way?). I am talking about you having a personal relationship with Jesus Christ. It opens to you a world of possibilities. I can vouch for that because I have proven it again and again. He won’t disappoint you, I can assure you. In conclusion, I want you to realise that you can achieve great goals in your life and go beyond menacing limitations through the application of personal determination.